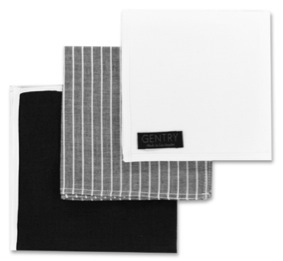 Los Angeles based men’s accessories company Gentry are making things easier for picking out your suiting accessories. 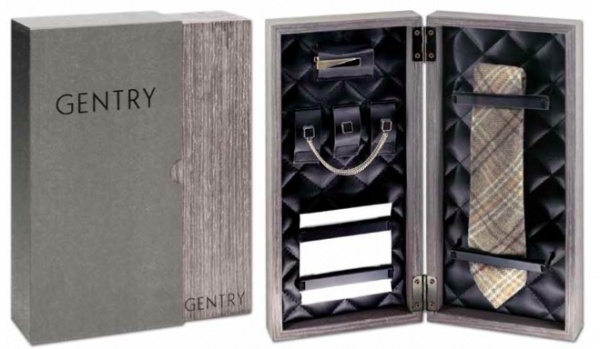 The Gentry collection is available as a set, which includes a necktie and pocket square, as well as a full set of jewelry (tie pin, tie clip and collar clip) starting at $255. However, if you’d like to purchase the items separately that’s also an option. Individual pieces start at $50 for pocket square sets (set of 3) and tie pins, $85 for ties and $88 for tie bars. Additional info here. This entry was posted in Accessories, Collections, Feature, Misc, News, Ties, Uncategorized and tagged Gentry. Bookmark the permalink.